This entry was posted on June 11, 2013 by stockdalewolfe. 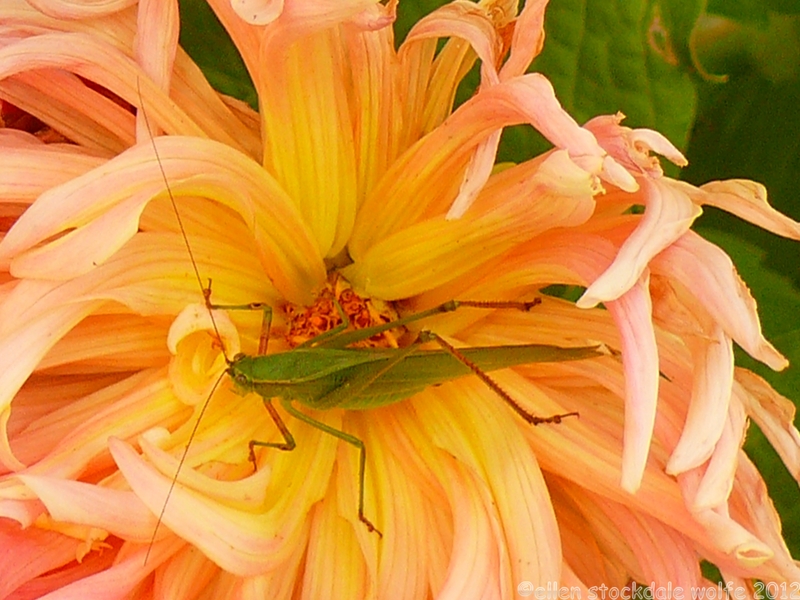 It was filed under Flowers, Humor, Macro Photography, Nature Columns, Nature Photography, Poetry and was tagged with Dahlias, Envy, Flowers, Gossip, Humor, Insects, Katydids, Nature photography, Poetry. Good to “hear” you laugh! I love your creativity. Made it so enjoyable to read along with the awesome photograph! Thank you, Disraela! Sorry you are sorry you wrote your “leaving Minnesota post” but be happy so many people are concerned for you. Of course, you know best but it is nice to know that so many people care for you, including this author. Brilliant. It would be nice to hear the other perspective too! Oh this is great and wonderful–I totally enjoyed it! Thank you so much, Caddo! !